Pamper your precious little one with soft and comfortable clothing for sleeping, playing, and exploring. 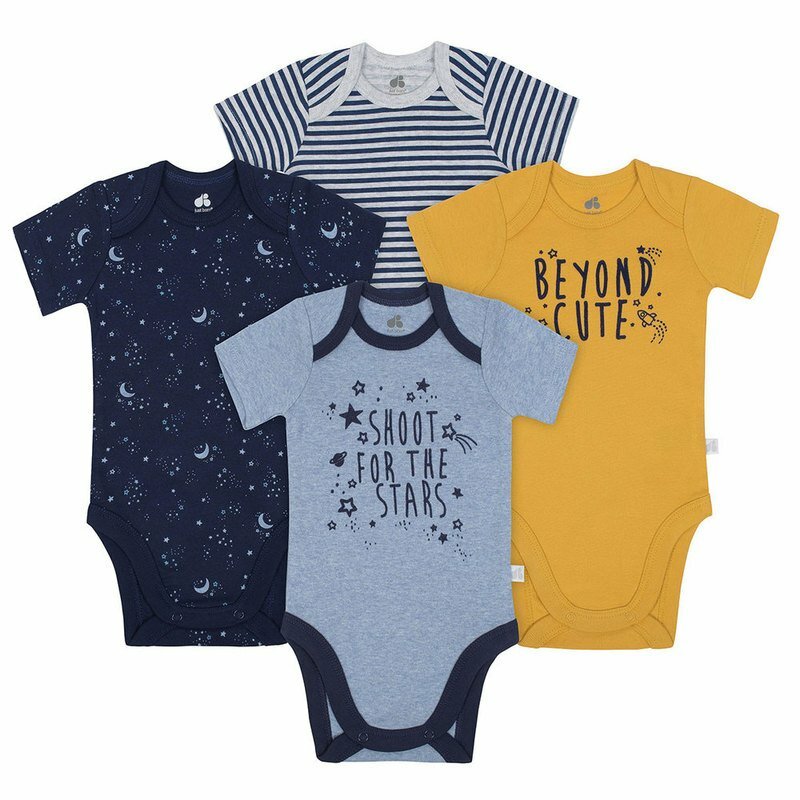 This 4-Pack of bodysuits by Just Born® are made of 100% organic cotton for ultimate comfort and quality. The baby soft fabric is standard 100 by OEKO-TEX® certified to give you piece of mind that no harmful substances will touch your baby's skin.